We are a renowned name in manufacturing of various types of flanges as per the standard and the quality norms. We use latest technology and comprehensive quality control systems in manufacturing our flange so that our customers get exactly what they want on customized requests. Quality is the most important parameter for customer satisfaction. The entire range of our products is checked on stringent parameters by QC & A Department (Quality Control & Assurance Department) to ensure quality. All these tests are conducted in laboratory under the supervision of our quality control experts. When these products are cleared from QC & A department, they are ready to dispatch. We manage to fulfill bulk order at short notice and deliver it at the desired destination within stipulated time frame. We follow various approved quality standards like ANSI Standard, DIN Standard, JIS Standard, BS Standard Flanges which ensures that the qualify safe, secure and reliable products are delivered to the clients. These standard flanges are resistant to corrosion and abrasion and ensure high durability. These standards also make the dimensions of the flanges uniform so they can be interchangeable. 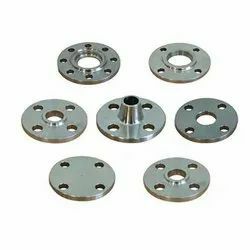 Our quality flanges are available in all standard dimensions as per client's specification providing them maximum satisfaction. We introduce our precious clients with an excellent quality ANSI B 16.5 Class 150 Flanges. This product is used to shut off a piping system or vessel opening. They are relatively expensive due to the weld neck, but are preferred for high-stress applications. The offered product is slipped over the pipe and then welded both inside and outside to provide sufficient strength and prevent leakage. In addition, customers can avail this product from us in various specifications to choose from. We are among the celebrated names in the industry for supplying ANSI Flanges. The offered flanges are made from high-grade stainless steel by our acclaimed vendors. These flanges are accurate in dimensions, owing to which demanded across the market. 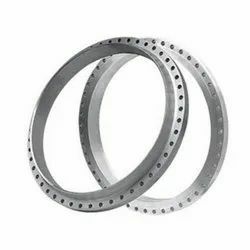 Offered flanges are known for their resistance to corrosion & abrasion, high pressure fluctuation and thermal expansion. In line with great expertise, we manufacture and supply a superb quality ANSI B 16.5 Class 300 IB Flanges. Our product is highly suitable for working efficiently under high pressure as well as high temperature such as atmospheric temperature in industries. Offered product is properly polished and film coated to avoid corrosion, rust or any other kind of defect. The given product is available from us on various specifications to choose from. PETROMET FLANGE INC is one of the most leading brand to export - forged flanges , buttweld fittings , forge fittings , olets , customised fittings in common stock material includes carbon steel , chrome moly alloy steel , coupro nickel, stainless steel ,nickel alloys , aluminium bronze , zirconium , titanium , tantalum. We anytime have 800 - 1100 Tons of stocks in our inventory which enable us to fulfill our clients immediate requirements. Our warehouse is located just 10 Kms away from Nhava Sheva Port, India, which is also the reason for our faster and quick delivery. We believe in providing good quality material at the most effective rates. Currently our material is exported to Europe & gulf countries. Our domain expertise has enabled us to come up with an excellent collection of API Flanges. Excellent quality material that is sourced from trustworthy members is used in the manufacturing process. All these products are offered to clients in varied sizes, shapes and dimensions to cater to their diverse requirements. API 6A Type 6B 2000,3000,5000,10000,15000,20000 PSI Flanges: API 6A Type 6B flanges are of the ring joint type and are not designed for face-to-face make-up. The connection make-up bolting force reacts on the metallic ring gasket. API 6A Type 6BX. 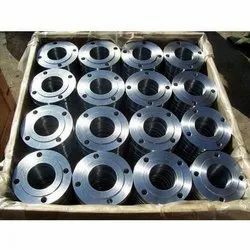 We are offering our client an excellent quality range of ASME B16.47 Siries B Flanges. 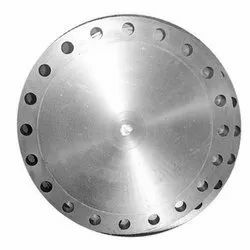 These ASME B16.47 Siries B Flanges are made from very high quality stainless steel raw material which ensures high durability at its user end. 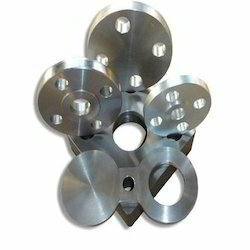 These ASME B16.47 Siries B Flanges are available in various designer patterns and designs. Our range of ASME B16.47 Siries B Flanges are available at most reasonable price. We are a prestigious company engaged in offering a superior quality JIS Flanges. Our given JIS flange is developed by our experienced professionals in sync with global quality standards using optimum quality material. 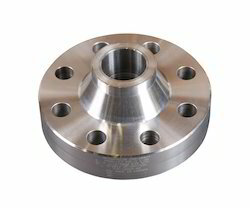 This JIS flange is used in heavy industries for energy efficient service with consistent performance. 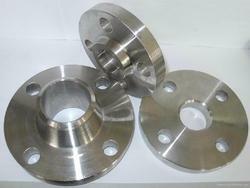 Due to their unique manufacturing specifications these flanges are used for special industrial working. 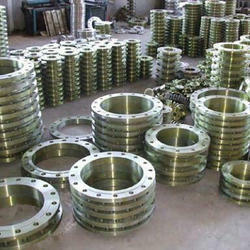 DIN FLANGES PN6 , PN10 , PN16 , PN 25 , PN 40 PETROMET FLANGE INC is one of the most leading brand to export. 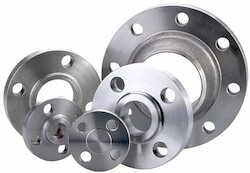 Backed by a team of skilled engineers, we are highly engaged in supplying best quality range of DIN Flanges. Renowned for their optimum quality, sturdiness & non corrosive nature, the provided flanges are manufactured using a superior grade raw material along with ultra-modern technology in sync with industry defined guidelines. Our quality examiners test these flanges on certain quality measures to ensure defect-free supplies. 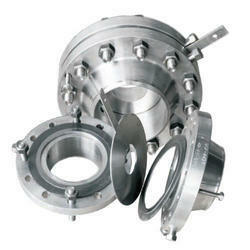 Additionally, clients can avail these flanges from us at market leading rates. Size : ½" to 16"
As we are considered as one of the renowned names, our company is engaged in manufacturing, supplying and exporting a wide range of ANSI B 16.36 Orifice Flanges. All these products are strong and sturdy in nature and ensure long lasting service life. These products are finely designed by the experts and offer hassle-free performance. We are offering these products at industry leading rates. With our vast experience in this domain, we are offering a supreme quality SABS / SANS 1123 Flanges to our estemeed clients. We are one of the manufacturers Flanges. Our Flanges are available in various sizes and specifications. These Flanges can be customized as per our customers specifications and availed at industrial leading prices. We are engaged in offering high-grade AWWA C207 Flanges to our precious clients. This product is manufactured using optimum quality components and cutting-edge technology. Our offered range is tested on various parameters for ensuring its flawlessness. Further, this product is available in different specifications and can be customized as per the precise needs of clients. Clients can avail the offered range at market leading prices. With the help of our efficient team members, we have come up with a comprehensive array of BS Flanges. Our team members use optimum grade raw material in the manufacturing process, which is obtained from reliable market vendors. With the help of the advanced technology installed at our premises, we manufacture these flanges. Customers can avail these flanges in customized forms as per the demands. These flanges are affordable and easily available in the industry. Metalinox india is well known in the market for its wide range of BS Flanges.Our range of BS flanges include Slip on flange, hubbed threaded flange, lapped pipe end flange, plate flange and many others. These are available in varied sizes and specifications to suit the diverse application needs of the clients. PETROMET FLANGE INC is one of the most leading brand to export - forged flanges , buttweld fittings , forge fittings , olets , customised fittings in common stock material includes carbon steel , chrome moly alloy steel , coupro nickel, stainless steel ,nickel alloys , aluminium bronze , zirconium , titanium , tantalum. We anytime have 800 - 1100 Tons of stocks in our inventory which enable us to fulfill our clients immediate requirements. Our warehouse is located just 10 Kms away from Nhava Sheva Port, India, which is also the reason for our faster and quick delivery. We believe in providing good quality material at the most effective rates. Currently our material is exported to Europe & gulf countries. The company is young but backed with experience partners , work force and passionate personal dedicated to sheer development. Our goal to develop the core ethics and company's marketing strategy for a long term progress . Developing overseas alliance , brand building and spreading company presence covering maximum sectors and build a repute with progression . We generally stock huge quantities in stock we supply products as per National & International Standard Like ASTM, BS, IS, DIN, ASME, AWWA & ANSI etc. keeping the best Quality Management process, Efficient and skilled workforce and responsive after sales service.